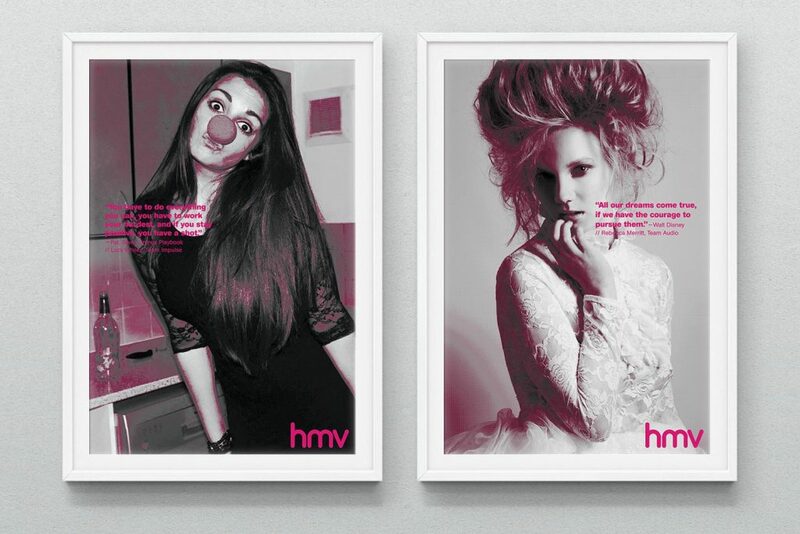 This project consisted of the creation and printing of a set of posters for the staff at the HMV Basingstoke store. 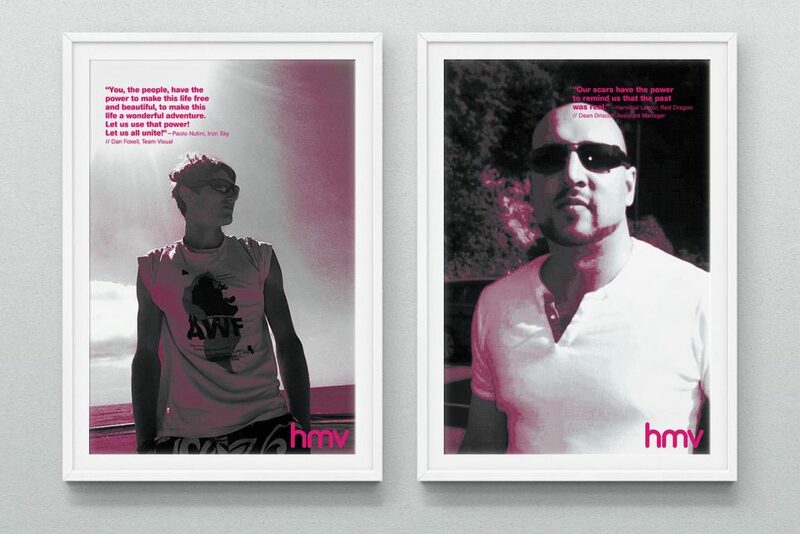 The posters were created using images provided by the staff along with a quote that inspired them. 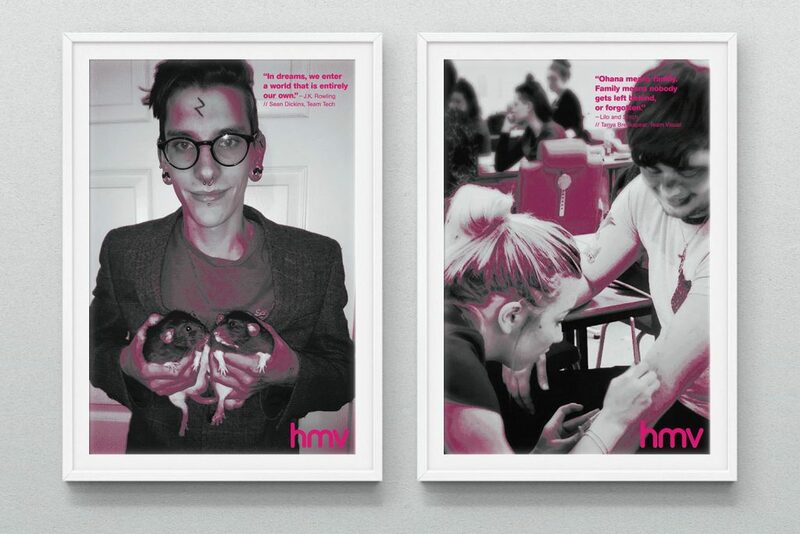 The images were converted to black and white to create a strong contrast and then colour range picked; the HMV pink was applied to the selection to bring out the grey midtone selection. The pink was used across the entire project to adhere to the companies look and feel.